G-Bubinga TAMA is known for its mastery of Bubinga, and this 12-ply 10mm Bubinga drum is a stunning example of that expertise. 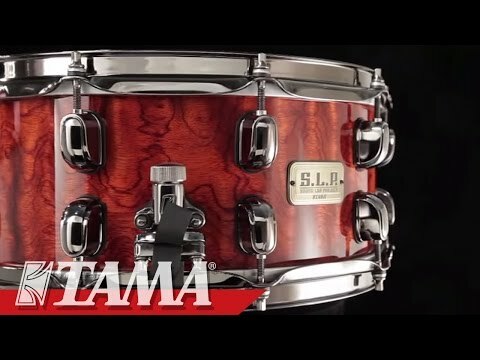 2.3mm flanged..
TAMA is known for its mastery of Bubinga, and this 12-ply 10mm Bubinga drum is a stunning example of that expertise. 2.3mm flanged hoops, and separate low-mass lugs enable the shell to resonate more naturally, giving the G Bubinga an extraordinarily punchy sound with a large helping of low-end.